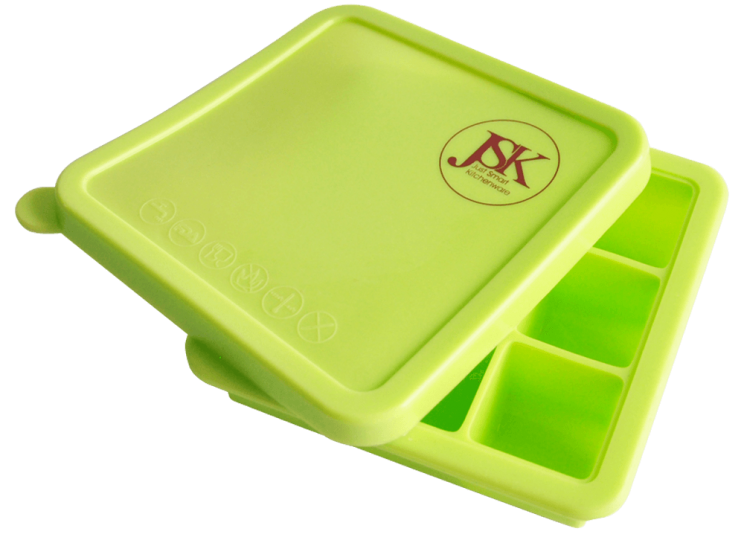 Smart in design and smart in function, this ice cube tray with lid prevents spillages in compact freezers on the move. So there will be no spilt water driving you around the bend when travelling in the likes of motor homes and boats. 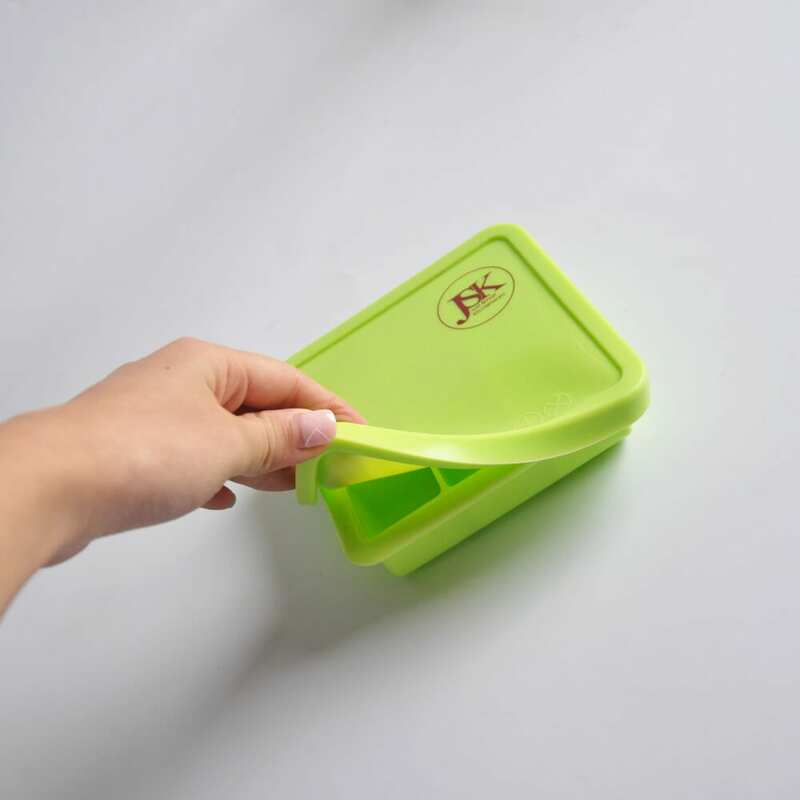 The no spill ice tray helps you to optimise limited freezer space at home or away as it takes up less room and, unlike standard open designs, fits in easily with other items without water tipping out if not kept flat. 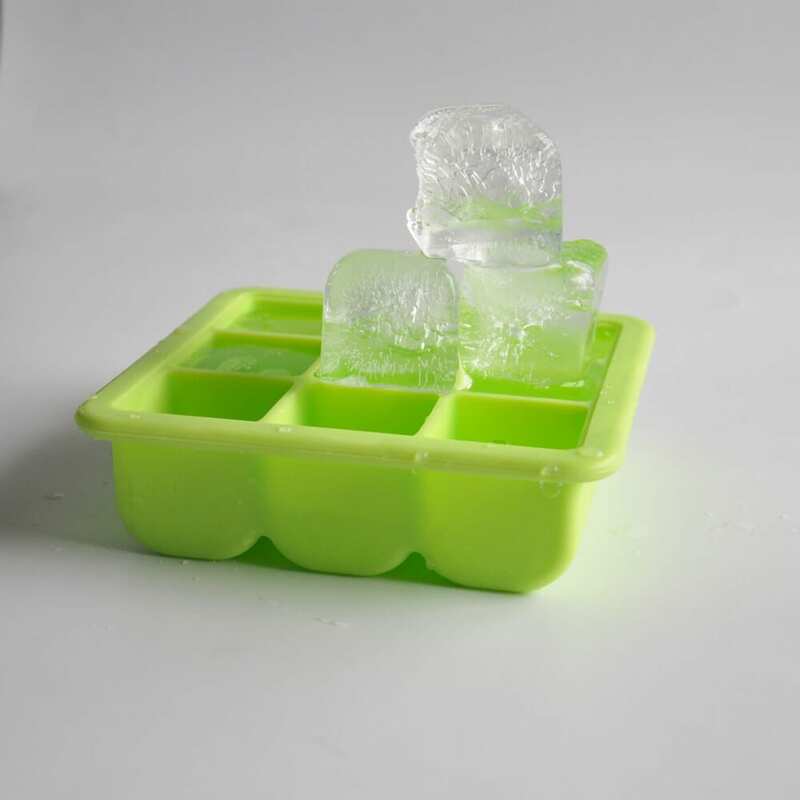 Covered ice cube tray prevents spillages in portable freezers on the move e.g. caravan, boat or car. The lid also helps prevent evaporation and freezer smells from affecting the taste of the ice. 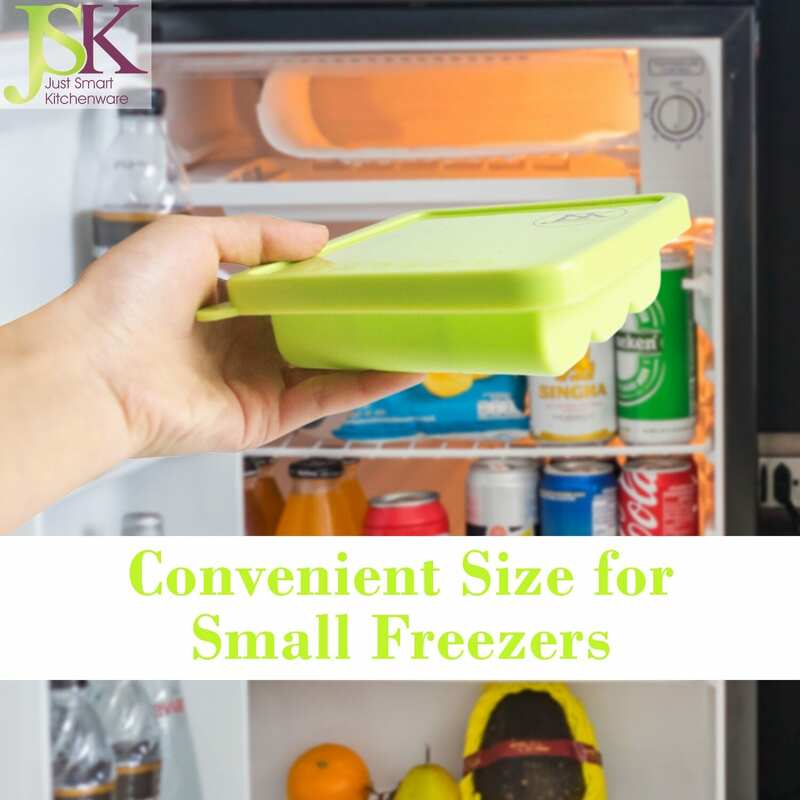 Being square and small makes it perfect for limited freezer space. Made of 100% silicone, it is flexible and will not crack or break. It is also to extract the ice cubes with a slight push of the thumb. 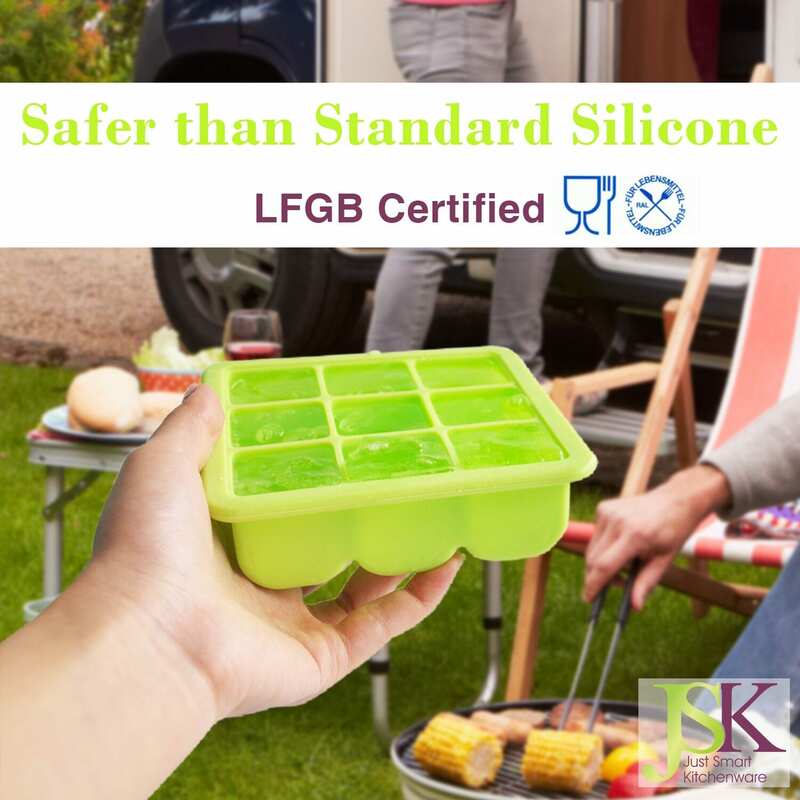 The silicone is of the highest quality (LFGB certified) & hence safer for you than standard FDA approved silicone (find out more about the difference here), doesn’t smell and is BPA free. Ice cube tray can be used in the dishwasher, oven and microwave. Practical gift for caravan, motorhome, campers & boat owners, as well as for those living in small accommodation spaces e.g. students, small units, mobile & tiny homes. International Customers: Many items from the JSK range are available on Amazon in the UK, Europe & USA. Click on the Amazon buttons on the product pages to go to the Amazon listings. 3 Magnificent Smart Mugs – No More Cold Coffee & One Will Not Even Fall if Knocked! In the desire for full disclosure, I want to say up front that certain products and links to products on this site are affiliate links, and we will earn a commission for any purchases you make. This will not incur additional cost to you. 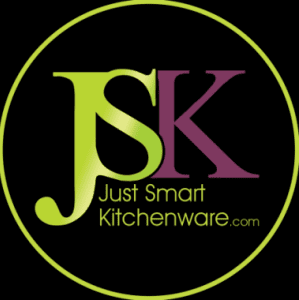 2018© Just Smart Kitchenware. All rights reserved.